Before visiting, the only thing I knew about Astoria was The Goonies was filmed here. This small coastal town is full of charming local businesses. We first stopped for beer and oysters at Buoy Beer. Oregon is full of awesome craft breweries and I’m glad we came to this one. The weather wasn’t cooperating, but we didn’t mind because it gave us an excuse to stay in and enjoy the luxurious Cannery Pier Hotel. Donna from the hotel nicely arranged for us be picked up in an antique car to have dinner at Baked Alaska. The chef impressed us with an innovative five-course seafood tasting meal while we watched the weather on the Columbia River just outside our window. 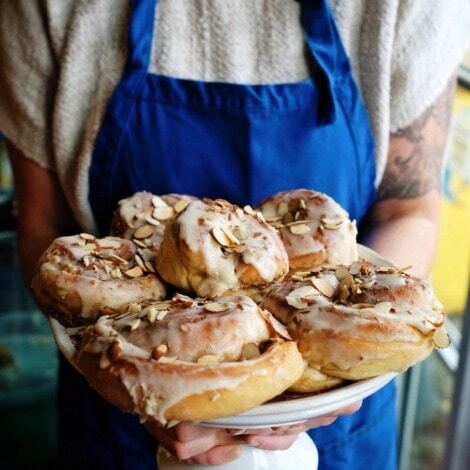 We had a delicious breakfast at one of the coolest cafes in town: Astoria Coffee House, smartly saving room for a cardamom almond roll at Blue Scorcher bakery. They were so delicious that I wish I had purchased a dozen of them! Stopped by the trendy Street 14 Coffee before hitting the road again. 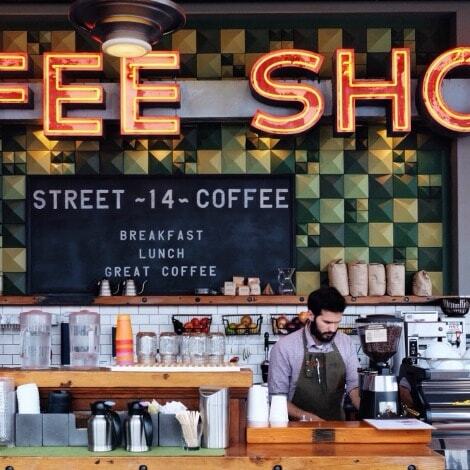 This small town is definitely not short of great coffee shops! I can’t even count the number of times I screamed ‘pull over!’ during this drive. It was so picturesque I wanted to capture it all. Our one-hour drive turned into three. 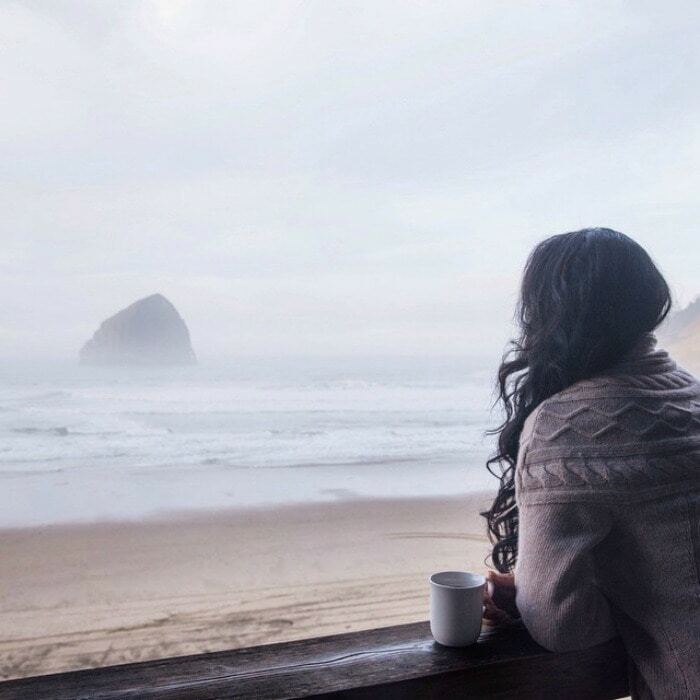 We stopped by beautiful Cannon Beach and enjoyed a walk through the town before continuing down the coastline with stops at Tillamook Cheese and Blue Heron French Cheese Company for cheese tasting. The brie at Blue Heron was outstanding! Couldn’t resist picking one up to snack on. 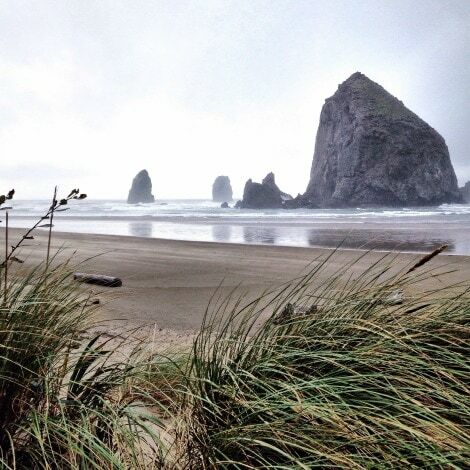 We took the scenic route, winding down through the coastline until we arrived at in Pacific City. It’s a small, unassuming seaside town. We went to the Pelican Pub and Brewery for dinner. Their menu pleasantly surprised me. This place doesn’t serve the ordinary pub food; they are focused on “beer cuisine,” pairing their beers with food. I ordered the Pelican Stout chili with their Tsunami Stout, which won Gold in the 2014 Best Craft Beer Awards. After a sip, I was in love. We were there on trivia night and had so much fun before settling into our cottage at the Inn Cape Kiwanda. Our room overlooked the ocean. It was so serene sitting by the fireplace listening to the waves. I couldn’t have pictured a more perfect place. The next day was filled with another gorgeous day driving south down the Coast. Our first stop was at Mo’s for their famous clam chowder. 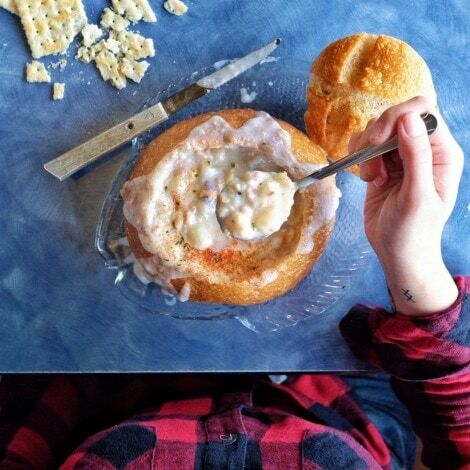 A good bowl of chowder is extremely satisfying! 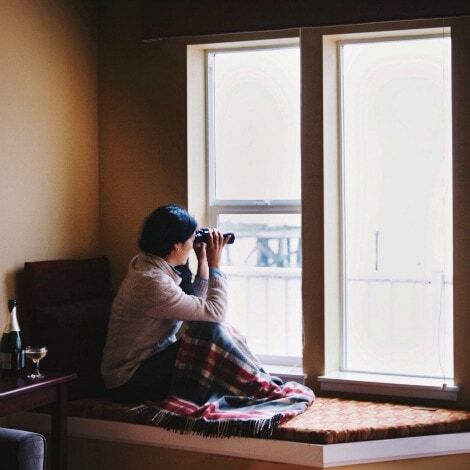 We made our way to Newport and checked into one of the most unique hotels I have ever stayed in; the Sylvia Beach Hotel is a hotel for book lovers. 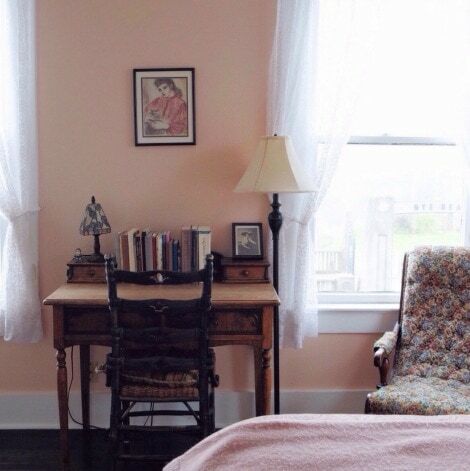 Each room is decorated to in the style of a famous author. On our last evening, we dined at Local Ocean Seafoods. I can’t even put into words how amazing this meal was. 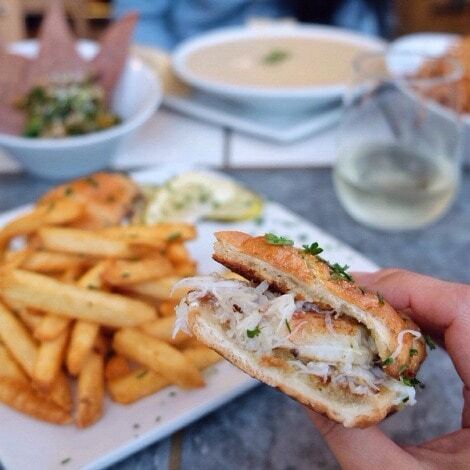 I had the roasted garlic & Dungeness crab soup and a crab po’ boy. There were generous portions of seafood and everything was so fresh and seasoned to perfection. What a way to end the trip! Before this trip I thought of the Oregon Coast as just a summer destination. But as I drove down the coast experiencing all the gorgeous scenery and delicious food, I realized the Oregon Coast is beautiful to visit any time of the year. I’m so happy to have had the opportunity to come here. I’ve met so many amazing people along the way and I can’t wait to come back! 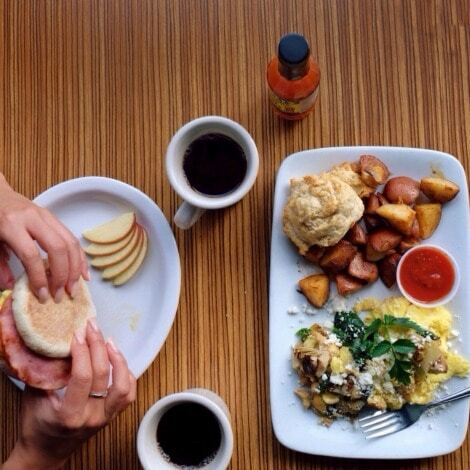 Joann Pai is a Vancouver-based food & lifestyle photographer. She has journeyed all over the world, living in Taipei and Paris along the way. 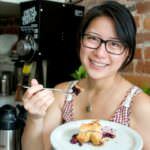 She has worked with culinary clients such as Beaucoup Bakery, Homer St. Cafe, and Tableau Bar & Bistro. She has also been featured in Forbes, The Telegraph, and Buzzfeed as one of the top food Instagram accounts in the world. More recently, she was named B.C Photographer of the Month by The Huffington Post. Joann co-founded Acornmag, a collaborative food culture magazine focused on telling visual stories about culinary artisans.